A cube on a cube is the Kauch Freaq. 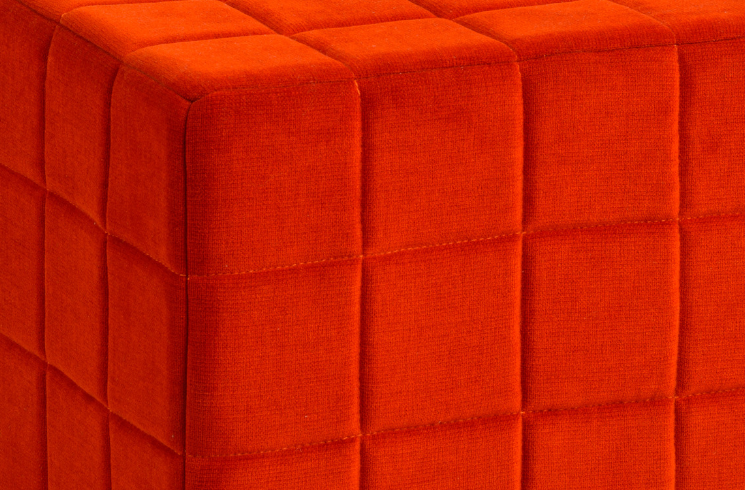 An ottoman with structured geometrical lines that are pleasing to the eye, also surprises us with its bold and colourful character. This is a multidimensional addition to your sectional sofa, which will let your legs dance anything from the Viennese waltz to the rumba, even if you don’t know how to dance.